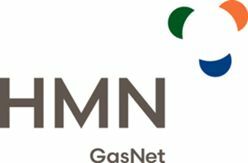 Austrian ÖMV, one of the companies involved in the Nord Stream 2 gas pipeline, determines that a Danish routing request could delay the project. The UK's prime minister has accepted the EU's offer to postpone Brexit until Oct. 31 – at the latest. It will take some time before the EU's goal of establishing an energy union is achieved, says Danish energy lobby. EU member states have made insufficient progress toward reaching the union's 2020 energy optimization target, the EU Commission informs in a new report. The Norwegian sovereign wealth fund's ceiling for green infrastructure investments has been raised twofold from NOK 60 billion to NOK 120 billion. The International Energy Agency's energy forecasts are out of date with the latest climate science, and the agency's fossil emission mappings are inadequate, says investors and researchers in a letter to the agency. The Rockefeller Foundation will end funding and dismiss the staff at its 100 Resilient Cities program, the largest privately funded climate-adaptation initiative in the US, the foundation announced Monday. The utility has asked authorities to delay the commissioning of much-discussed offshore wind farms Vesterhav Syd and Nord until 2023. Following a long wait, Australia's minister of energy has awarded an exploratory license for the country's first offshore wind farm project. The EU Parliament has ratified a regulative update for the union's electricity market as well as the Agency for the Cooperation of Energy Regulators. Workers have suffered incapacitating injury from toxic chemicals from a Vestas factory in Spain, following only three years after a similar incident in Denmark. European Union member state leaders were unable to commit to the union's climate neutrality in 2050, disappointing several observers and participants.